Students close to a U of M investigation into the conduct of a former professor in the Desautels faculty of music are criticizing the process, saying it was tailored more toward protecting the university than students. As reported by the CBC in a series of stories beginning last week, two separate university investigations into the actions of Steve Kirby, the once-lauded head of the U of M jazz program, concluded that Kirby’s conduct constituted “sexual harassment” and would have created an “intimidating, humiliating or offensive work or learning environment” for female students. It was reported that Kirby was on leave for six months before retiring from the U of M in June and later taking a job at Berklee College of Music in Boston. He has since been placed on leave at that school while it conducts its own investigation. Further reports claim the U of M was approached with complaints against Kirby as far back as 2012. Kieran Labossière, senior stick of the Faculty of Music Students’ Association (FMSA) between 2015-2017, said a number of women in the program approached him in the 2016 fall term with complaints regarding Kirby. He said students met with the university administration looking for information regarding the options available to them, saying some feared repercussions if their names were attached to a complaint. He said Kirby is well-known and active not only within the Winnipeg music community but abroad, and students worried having their names included in an investigation would hurt their professional and academic careers. Days later, Labossière said the students learned that an official investigation had been opened without their direct consent, which he said took away their agency to pursue the complaint on their own terms. “It seemed like the university was initiating this investigation less on the behalf of students, or protecting students, and more on behalf of protecting itself,” he said. University of Manitoba executive director of public affairs John Danakas said in an email that the university will initiate its own investigation if “matters come to light that are serious in nature, and are of sufficient importance to warrant an investigation,” noting that participation is voluntary and a person cannot be compelled to be a witness. A recent graduate of the music faculty’s classical program – who testified in the investigation and requested anonymity – said she learned Kirby’s behaviour was well-known within the jazz department after sharing her own experiences with other students. “For so many years we were like, ‘There’s nothing we can do. We’re not going to bring it up with the dean because he’s just not going to do anything about it,’” she said. She said her own experiences with Kirby occurred years ago and included remarks about her appearance, both in his office and at off-campus improv jazz sessions the faculty is regularly involved with at a local venue. Other reports of Kirby’s actions toward students involve inappropriate touching, including hugging. The recent grad said learning Kirby was back at work at another university was incredibly upsetting and frustrating. Labossière also said he was upset to learn not only that Kirby had quietly moved on from the U of M, but that there was no report to the university community on the findings of the investigation. “I think that every single student in the faculty of music – and the university – should absolutely have had a right to know the findings of that investigation and every student should have been made aware of what had happened,” he said. The FMSA issued a response to the investigation Monday, lauding the “courageous women who came forward at great personal risk” and saying it is deeply troubled by allegations the university mishandled previous complaints and disclosures. The association also called for more transparency from the university. “The policies have been tested, and they work,” he wrote, adding that they will be reviewed regularly and feedback from the university community is valued. Kirby was hired by the U of M as director of jazz studies in 2003. 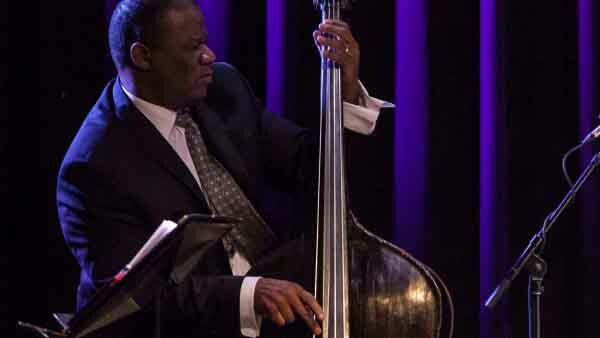 An internationally renowned jazz bassist, he helped recruit world-class instructors to the university. He was also instrumental in the development of a faculty outreach initiative that connects at-risk youth in Winnipeg’s inner city with instruction from third- and fourth-year students of the jazz program, and served as editor-in-chief of Dig! magazine, a local bi-monthly jazz publication that recently shut down operations after 14 years.